Ingemar ‘Ingo’ Johansson just died, at the age of 76. 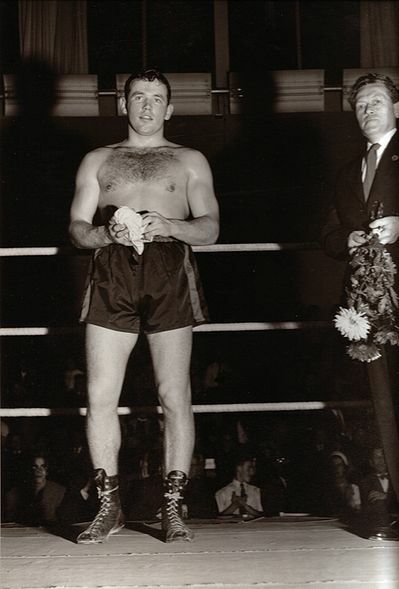 He was Sweden’s first, and still the only, world champion in heavyweight boxing. A story famous among my relatives is when my dad’s cousin (I believe it was with his father) went to see the game between Ingo and Eddie Machen in 1958 at Ullevi in Gothenburg. They were both hungry so they decided to stand in line for a sausage. As they were standing there waiting the game started. And ended. Only 2 minutes and 16 seconds later after the start. My dad’s cousin saw nothing. But he sure heard a lot of screaming. I will see if I can find the old Rekordmagasinet and read some contemporary texts about Ingo. xorg on a Panasonic TX32 LE7FA. Anyone? Has anyone got Xorg to work nicely with Panasonic TX32LE7FA. It seems to be a clear no, but before I dive into endless modelines settings I might as well ask. I am currently in the worst shape in at least ten years. I have barely moved (should a hacker move his body btw?). I have rescheduled my self and now have more spare time so it was about time to team up with the other guys. My body lasted 30 seconds. My malfunctioning brain fortunately didn’t take notice of the warning signals so I actually did 90 minutes of indoor football. I’ve had the pleassure to assist Christer Corneliusson (aka christec) doing his thesis on porting Gnash to an embedded PPC. Even though I am not quite happy with my part in the thesis and the result wasn’t the one we hoped for, I consider it a really good thesis 🙂 … if I had one wish I would wish Chister supported another football team. Currently I am slowly starting up a thesis together with Anton Löfgren and Niklas Johansson. It’s currently a bit “secret “ so I will say no more…. of course it’s all Free Software. mins after the Debian talk).